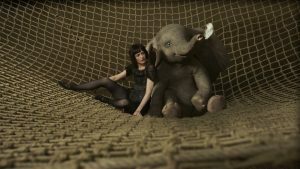 Eva Green as Colette with Dumbo in Tim Burton’s DUMBO. © 2019 Disney Enterprises, Inc.
HOLLYWOOD—At Sunday’s press conference here for Tim Burton’s update of the classic Disney movie “Dumbo,” a press person informed the noted filmmaker that the separation between Dumbo and his mother in the movie reminded her of the separation of migrant children from their parents at the U.S. southern border. She went on to ask the creator of some of Hollywood’s most popular films including “Edward Scissorhands” and “Sweeney Todd,” about whether that hot button political issue was what he had in mind when he created the scene where the baby elephant is torn away from its mother. Danny DeVito, who plays the operator of a small circus and its ringmaster in the updated film which melds live-action performance with CGI animation, noted that the original Disney animated feature—now regarded as a classic—was made in 1941, 78 years ago. “If you remember the movie, (it’s) a 63-minute Disney movie masterpiece from that era, the baby (Dumbo) was separated from his mom (in it), so I don’t think it has anything to do with this unfortunate, horrifying thing that’s going on in our current news,” he said. Co-star, Michael Keaton, who plays a villainous rival impresario who buys out the smaller circus to exploit the amazing flying baby elephant, was more direct and critical of the current Administration’s immigration policy at the southern border. 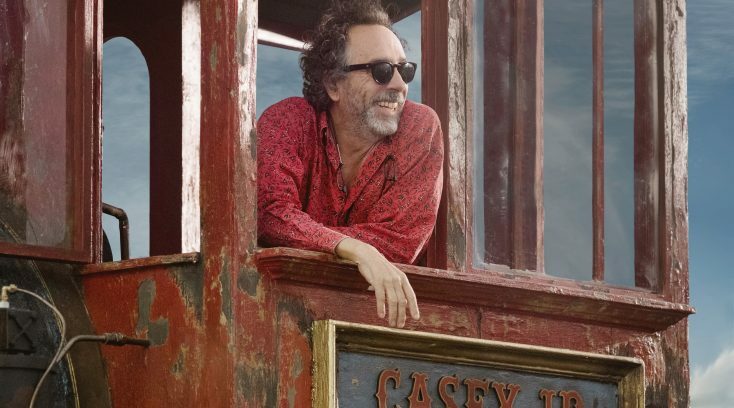 The film, which is due in theaters on March 29, has cleaned up some of the now-culturally awkward parts of the original (including eliminating the black crows, which sang the song “When I See An Elephant Fly” altogether) and includes a much more diverse cast and carries the message that animals should not be used as entertainment. No actual elephants were used in the film; they, and many of the other animals, are animated. Next Post‘Green Book,’ ‘A.I. Rising,’ ‘The Last Ship,’ More Arrive on Home Entertainment … Plus We Have Giveaways!! !